Summer has always been one of my favorite seasons. It has always been a time to recharge my body and mind. I pull out all the fun projects that were shoved to the back of a closet during the school year. 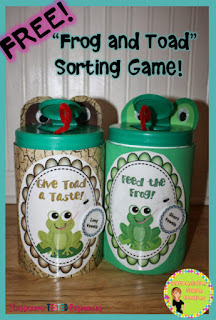 I am a DIYer and love to turn any "trash" into learning tools and toys. Here are a few of my favorite that are perfect to get ready for your year next year. 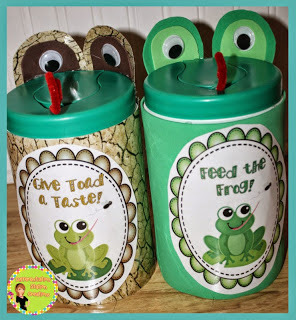 Save your Lysol wipe containers and make a frog and toad! 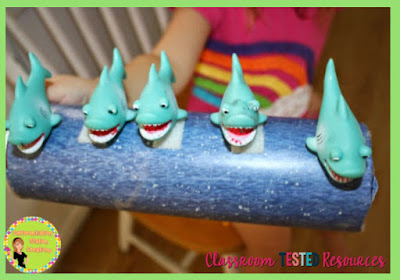 Sure to engage and thrill your kiddos. See the directions here. 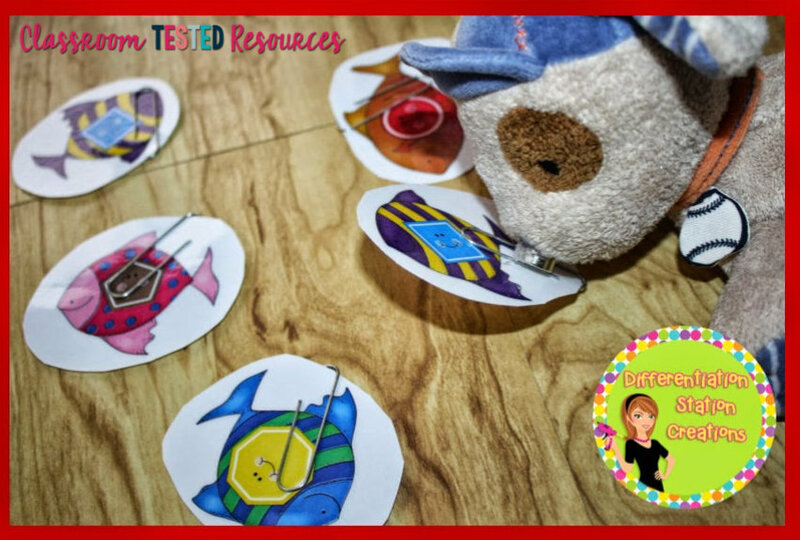 You can also get a literacy freebie to go along with it here. 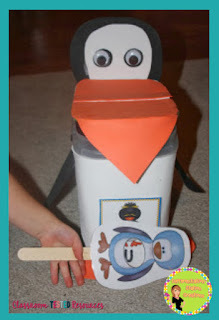 Make a collection of math manipulatives with Pringles cans and finger puppets! I use them as manipulatives to go along with stories and poems. 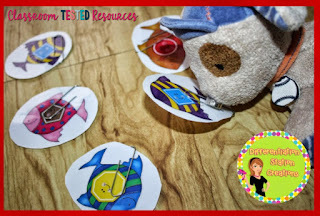 I put them in a center for kids to retell stories, or create their own. We use them as math manipulatives and so much more! See the DIY directions here. 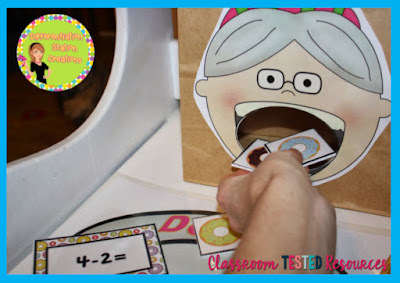 Get your kids engaged in their learning by creating an old lady for them to feed! 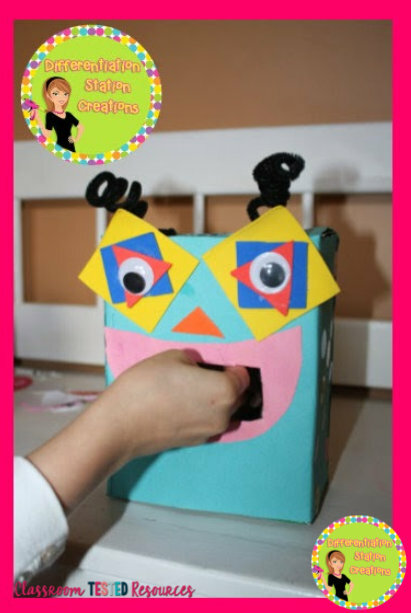 Use a paper bag, box, and some clip art. See my old lady here. Don't feel limited by the old lady! 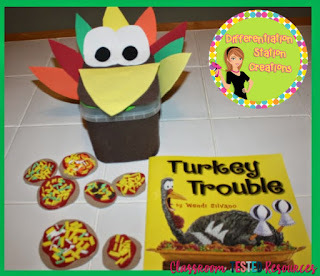 You can create any animal or creature to feed and your kids will LOVE it!! Try penguins, robots, turkeys, or even just add a magnet to a stuffed animal. 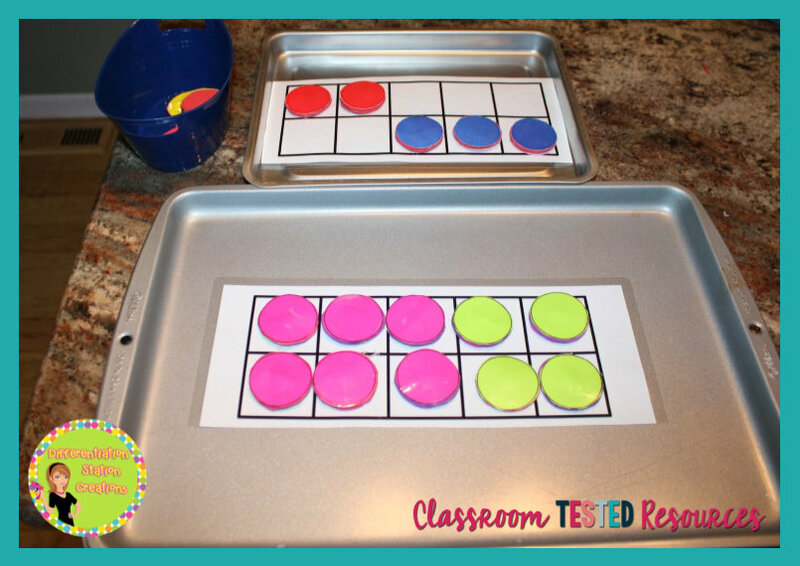 You can see a round up of my favorite DIY math manipulatives here. Create a magnetic ten frame that is great for all sorts of things; as well as, make your own two-sided, magnetic counters. 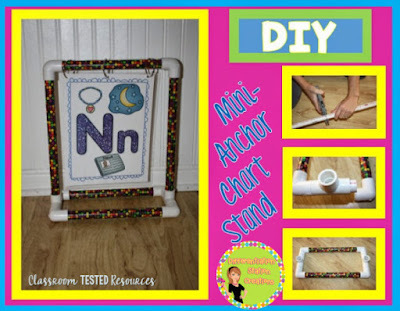 Get the template and directions here. If you're handy with PVC, make your own anchor chart stand. 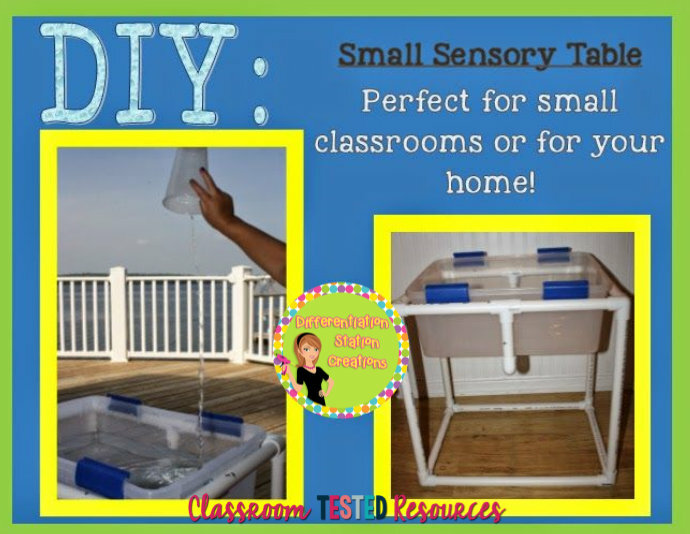 Or a sensory table for your home or classroom. 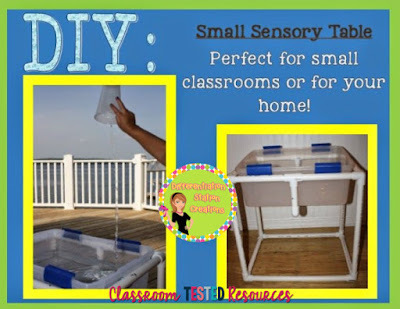 I have directions for a small sensory table and have a link to the directions for the larger one that inspired me. 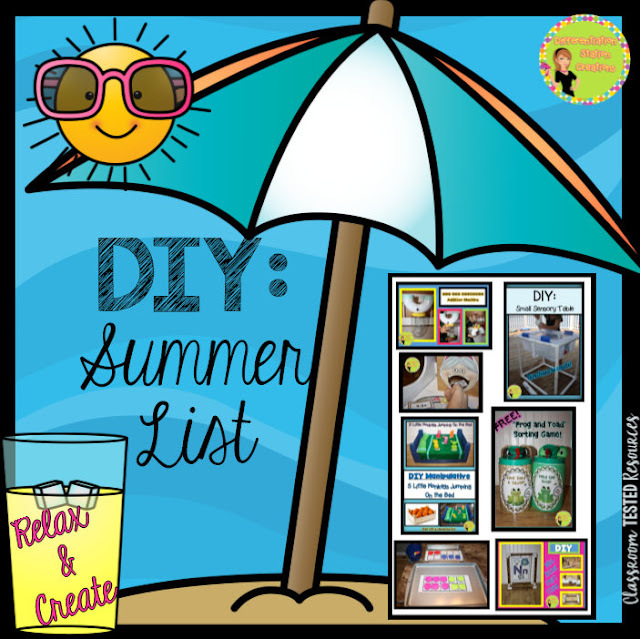 I hope you've found some ideas to keep you busy and creative during the summer months! 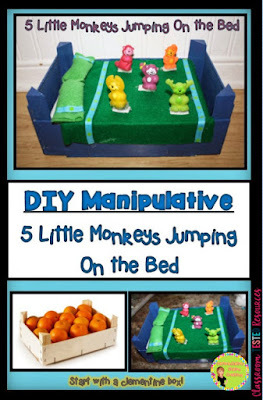 I have a list on Pinterest of the DIY fun that I plan to make. You can see my ever-growing list here. If you have an idea for an amazing DIY project but aren't sure how to create it, be sure to let me know. Need a fun manipulative for your favorite song or book, send me a line and I will do my best to come up with something. I love to tackle all the challenges!